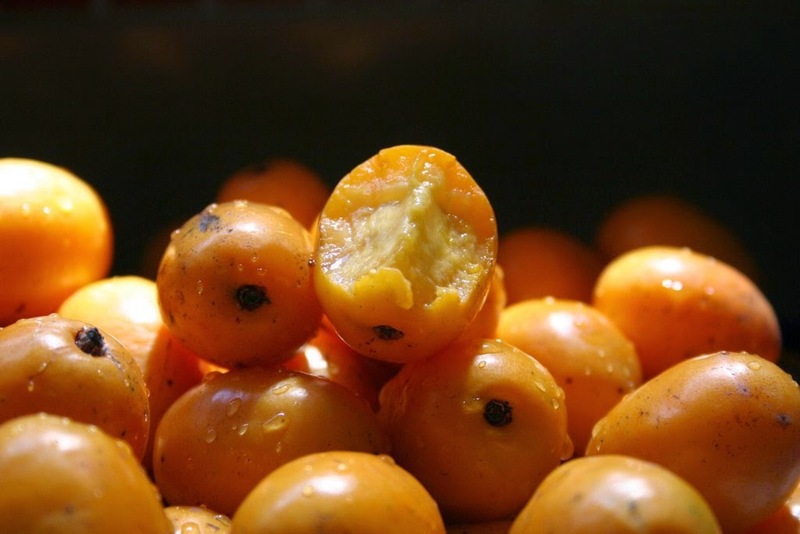 DISCOVER THE BRAZIL: Brazilian fruits: A unique flavor! Brazilian fruits: A unique flavor! I showed here before some Brazilian fruits, read it at this post. Today I want to add more to this extensive list, that I wish everyone would have a chance to taste it. You would be surprised to know how delicious it are! But these are not all!! And remember: when you go to bars, restaurants and food courts you are served with natural fruit juices (most the times squeezed from the fruit right away and sometimes from frozen fruits' polps). ARAÇÁ: The fruits are rounded berries, green or yellow (there are red varieties), crowned by the persistent calyx, whitish juicy pulp, similar to a small guava and bitter taste. CACAU: The fruit has a thick yellow skin when ripe, and needs to be broken with some force to open. Inside, the seeds are surrounded by a white pulp acid flavor, harnessed to sweets and juices. 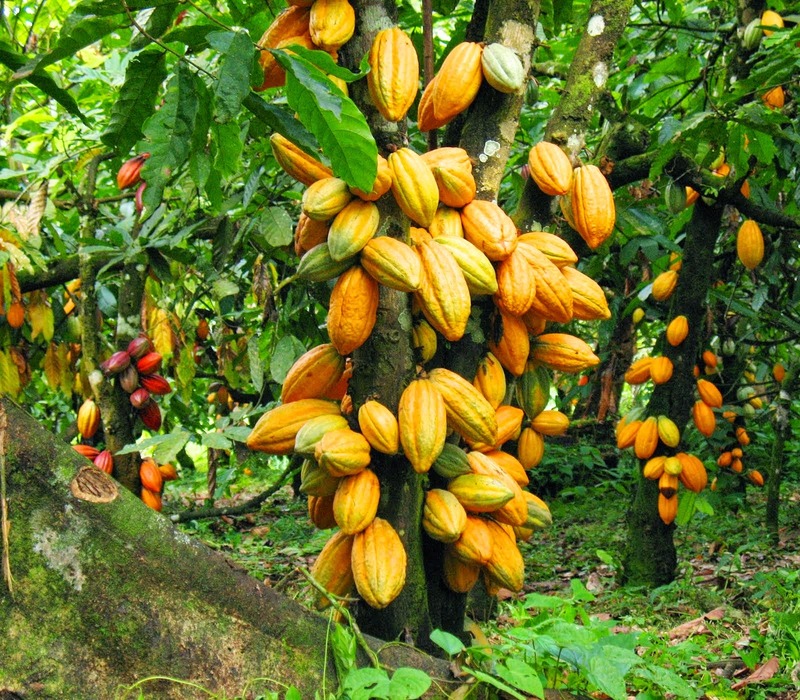 From the seed or almond it's extracted the cocoa powder, bitter taste, which is the basis for the making of chocolate. Therefore, the almonds are dried, roasted and ground. PINHA: Annona squamosa is a small, well-branched tree or shrub from the family Annonaceae that bears edible fruits called sugar-apples. The flesh is fragrant and sweet, creamy white to light yellow, and resembles and tastes like custard. 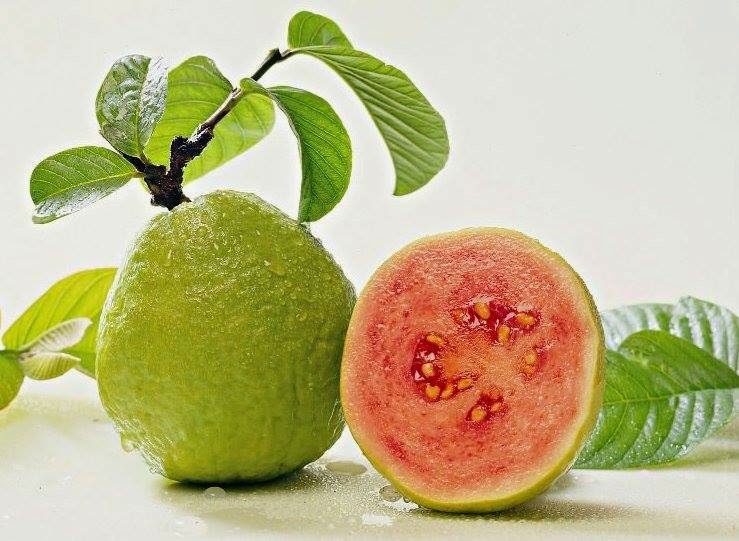 GOIABA: Guava fruits, usually 4 to 12 centimetres (1.6 to 4.7 in) long, are round or oval depending on the species. They have a pronounced and typical fragrance, similar to lemon rind but less sharp. The outer skin may be rough, often with a bitter taste, or soft and sweet. Varying between species, the skin can be any thickness, is usually green before maturity, but becomes yellow, maroon, or green when ripe. The pulp inside may be sweet or sour, and off-white ("white" guavas) to deep pink ("red" guavas). The seeds in the central pulp vary in number and hardness, depending on species. MANGA: Mangoes are generally sweet, although the taste and texture of the flesh varies across cultivars; some have a soft, pulpy texture similar to an overripe plum, while others are firmer, like a cantaloupe or avocado, and some may have a fibrous texture. CAMBUÍ: The pulp has great potential to be used to make jellies, ice cream and juices. The ripe fruit is a round or slightly elongated berry, up to 20 mm wide and 25 mm long. It has a thin purple-black skin and a wet, firm, whitish pulp about 3–5 mm thick, surrounding a loose single (rarely double) seed. It is edible, moderately sweet, with an aroma similar to (but less intense than) that of the jabuticaba. CAJÁ: The cajá is a tree-fruit, and one of the problems in commercial cultivation is the height of the tree - often more than 100 ft. (30 m). Nonetheless, it's extensively cultivated and highly appreciated in Brazil, particularly in the Northeast and in the state of Bahia. The fruit itself is about 5 cm (2 in.) 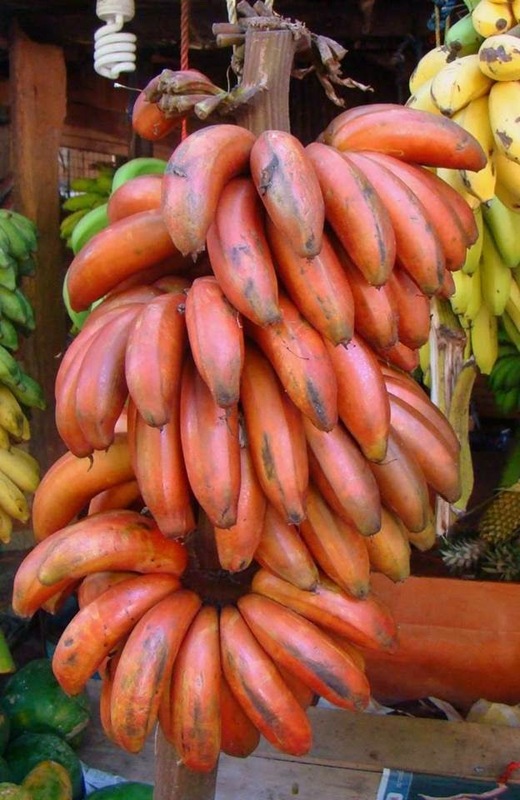 in length, and has a leathery skin, a thin layer of pulp, and a large, hard pit. Cajá is most often processed than eaten raw, and is valued as juice, jelly, and flavoring for ice cream, yogurt, etc. One of the most delicious ways to sample cajá is in a caipifruta, an alcoholic drink derived from the caipirinha. It's like a combination of apricot and mango (with a slightly resiny taste), but with jacked-up acidity, like a mild passion fruit. CAMAPÚ: The genus is characterized by an orange fruit is small, similar in size, shape and structure of a tomato, but partially or completely surrounded by a large shell which derives from the whorl. Fruits are beautiful. They are small and round, with color ranging from yellow to red. 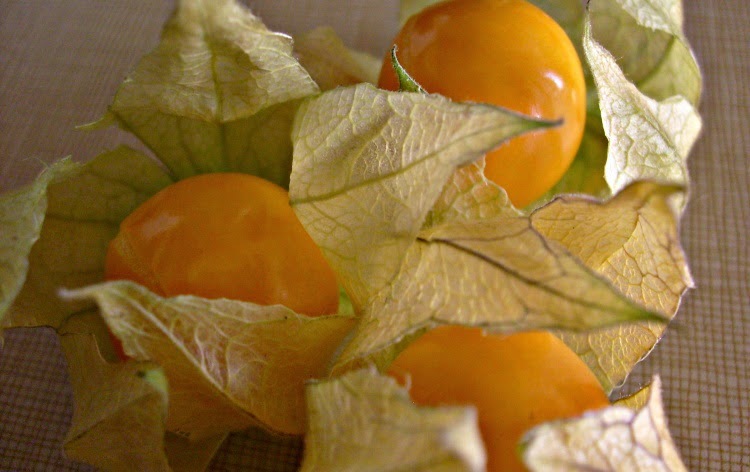 But what most delights in Physalis is the cup which naturally involves: a thin, delicate yellow capsule, similar to rice paper, recalling the design of a small flashlight. Contains high levels of vitamins A, C, phosphorus and iron, as well as flavonoids and phytosteroid. Its flavor is unique, slightly acidic and sweet. 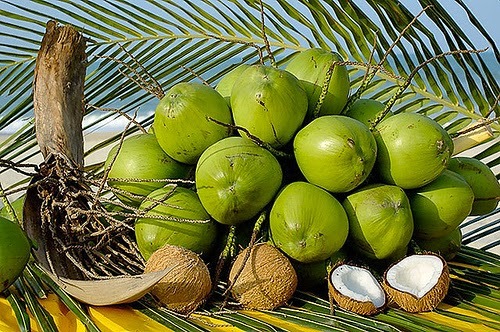 COCONUT FRUIT: Coconuts are different from any other fruits because they contain a large quantity of "water" and when immature they are known as tender-nuts or jelly-nuts and may be harvested for drinking. Botanically, the coconut fruit is a drupe, not a true nut. 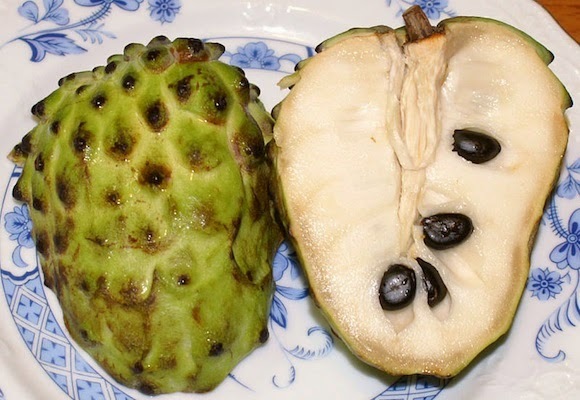 ATEMÓIA: Similar to Pinha, is a hybrid of two fruits – the sugar-apple (Annona squamosa) and the cherimoya (A. cherimola) – which are both native to the American tropics. An atemóia is normally heart-shaped or rounded, with pale-green, easily bruised, bumpy skin. 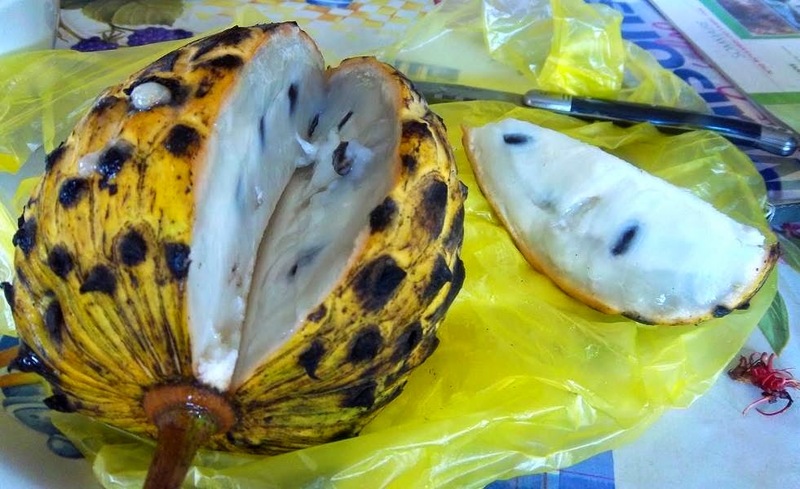 Near the stem, the skin is bumpy as it is in the sugar-apple, but become smoother like the cherimoya on the bottom. 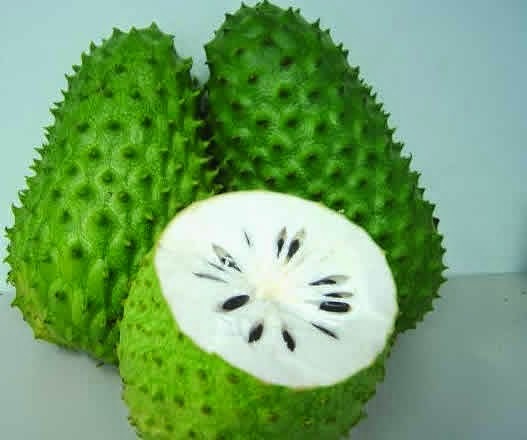 The flesh is not segmented like that of the sugar-apple, bearing more similarity to that of the cherimoya. It is very juicy and smooth, tasting slightly sweet and a little tart, reminiscent of a piña colada. The taste also resembles vanilla from its sugar-apple parent. GRAVIOLA: is the fruit of Annona muricata, a broadleaf, flowering, evergreen tree.The pulp is also used to make fruit nectar, smoothies, fruit juice drinks, as well as candies, sorbets, and ice cream flavorings.The flavour has been described as a combination of strawberry and pineapple, with sour citrus flavour notes contrasting with an underlying creamy flavour reminiscent of coconut or banana. 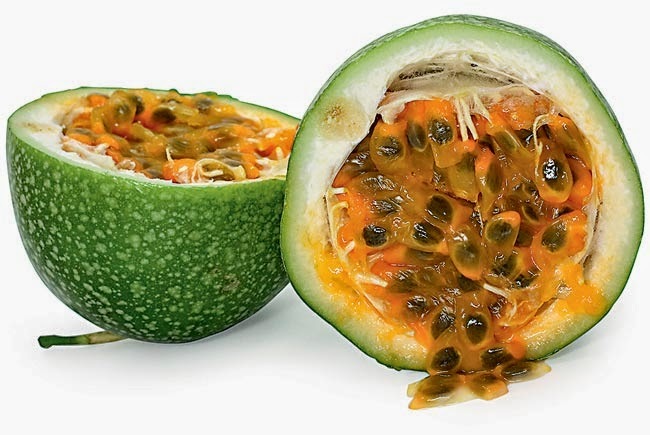 MARACUJÁ: The passion fruit is round to oval, either yellow or dark purple at maturity, with a soft to firm, juicy interior filled with numerous seeds. 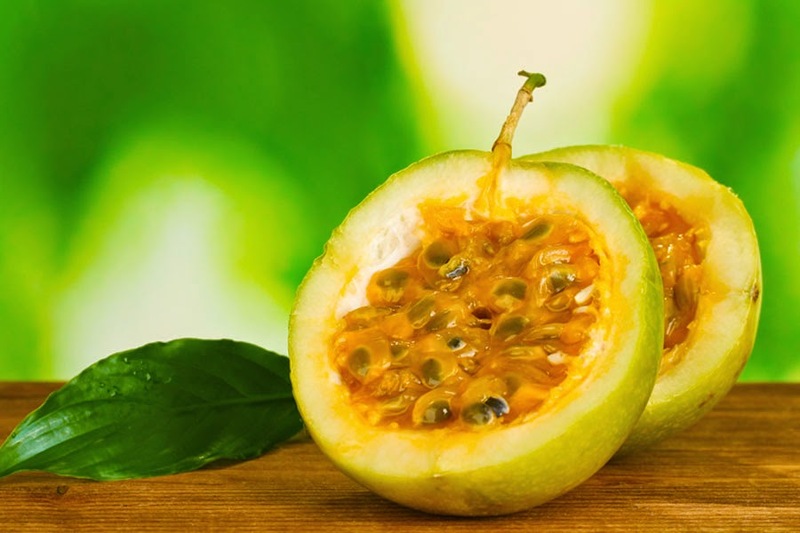 The fruit is both eaten and juiced; passion fruit juice is often added to other fruit juices to enhance aroma. SERIGUELA: The fruits are often eaten ripe, with or without the skin. It is sometimes eaten unripe with salt and vinegar or lime juice.This vitamin-packed fruit is a small and round or oval, with a yellow-orange skin that is often mottled with red. It's most commonly eaten as-is, raw, and that's the way I like it best. During the harvest season, vendors sell seriguelas from carts throughout the city, and at traffic lights, people sell net bags of seriguelas to drivers and passengers in the cars waiting for the light to change.The seriguela is a well-loved fruit in the northeastern part of Brazil, and its season rolls around in mid-summer (December to February south of the equator). The soft skin surrounds a not-too-sweet but very aromatic pulp that melts in the mouth and is very juicy. 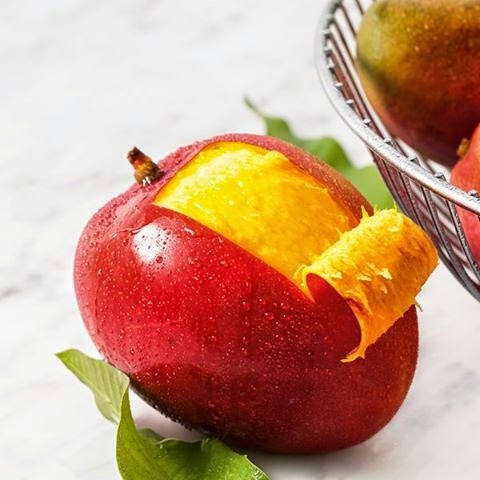 The flavor has hints of mango and cajá, which is not surprising as these three fruits are all from the same botanical family. In the center of the fruit is a single seed that takes up at least half of the volume of the fruit, but which is surprisingly light. UMBÚ: The flesh is soft and juicy, with a sweet taste and distinct aroma. The fruit comes from a small tree, seldom higher than 6 m, with an expansive crown of up to 10 m in diameter. 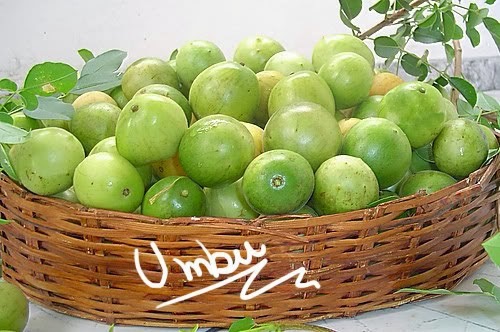 The fruit of the Umbu are round and can be of varying size: they can be as small as cherries or as large as lemons. 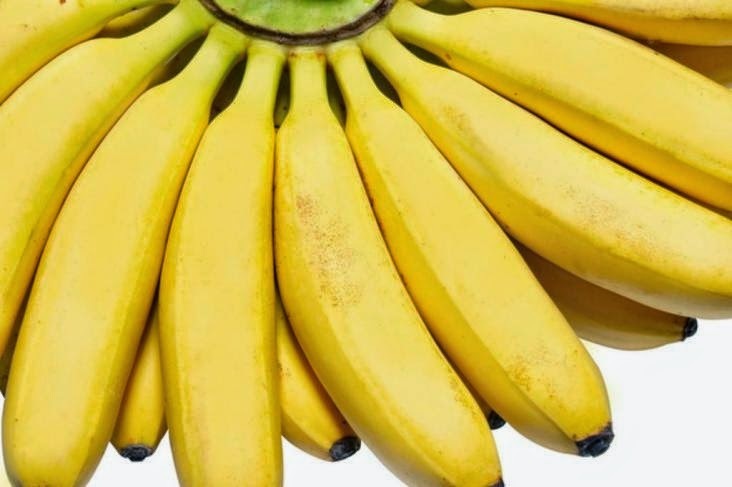 The peel is smooth and green or yellow when the fruit ripen, the small firm fruits are juicy and flavorful and their succulent flesh hides a large dark pit. When fully ripe the flesh is soft and juicy, with a sweet taste and distinct aroma.The fruit are sour if eaten before they are fully ripe. So, if and when you come to Brazil's Northeast during umbu season (December-March), search them out. It's an exotic local treat that you won't find anywhere else. 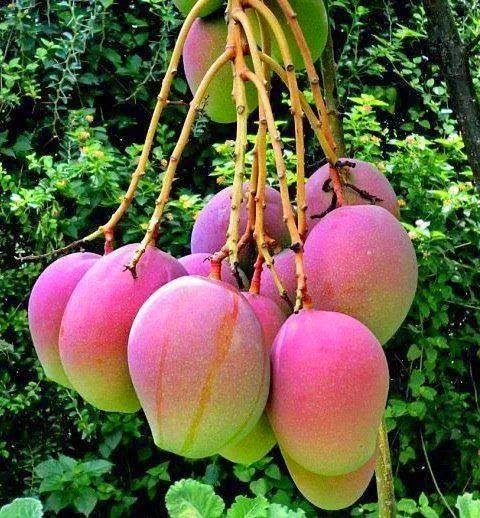 MANGABA: The fruit is oval and berry-shaped, yellow or greenish in color, sometimes with red pigmentation. 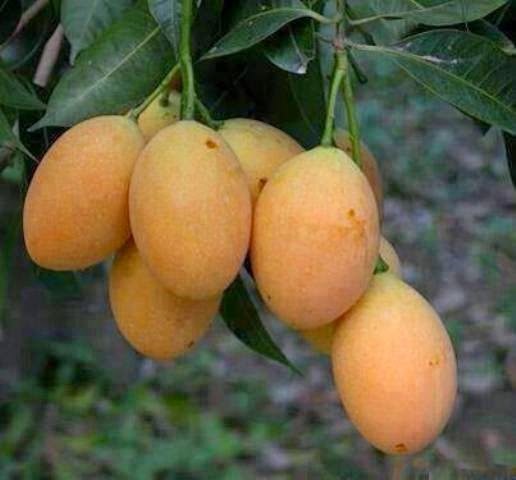 When ripe it has a yellow skin with reddish marks, and a very aromatic, delicate smell. The flesh is soft, white, slightly viscous and fibrous, with a unique sweet flavor. 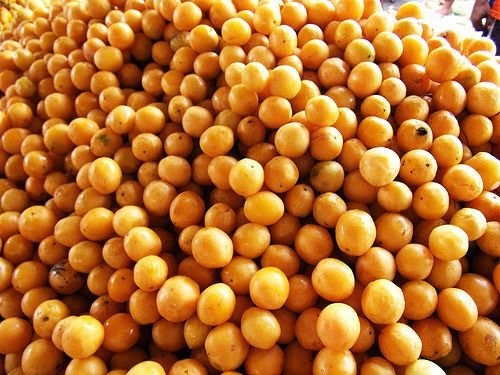 The native people, who know the fruit well and used it widely, called it mangaba, which means "good fruit for eating". 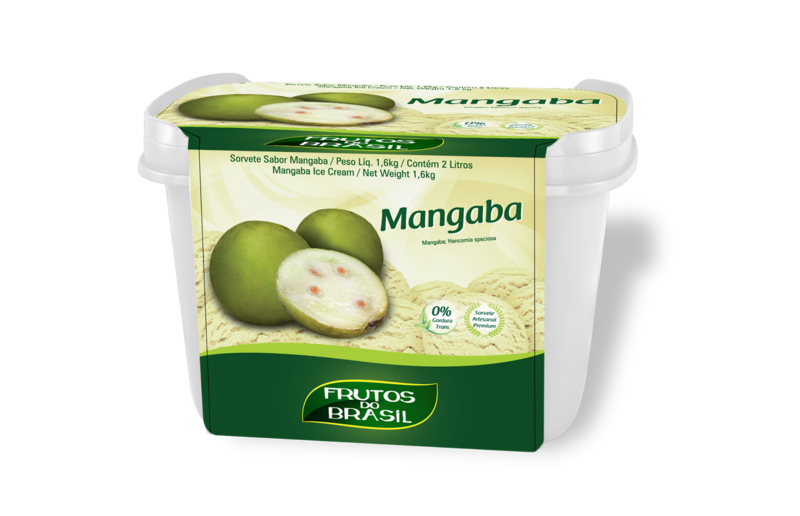 As well as being very popular as a fresh fruit, mangaba is also used for making juices, ice creams, jams, pastries, preserves, distillates, and wines and syrup. AÇAÍ: The açaí berry is an inch-long, reddish-purple fruit. It comes from the açaí palm tree, which is native to Central and South America. Some studies show that açaí fruit pulp is even richer in antioxidants than cranberries, raspberries, blackberries, strawberries, or blueberries. The açaí berry in its natural state, just as it comes off its palm tree, is not a very appetizing fruit. The berry consists of a very dark purplish-black skin covering a thin layer of light-colored flesh and a large inedible seed. The fruit has no natural sugars, and so the taste isn't fruit-sweet; it's earthy, some would even say dirty, dense and dark. 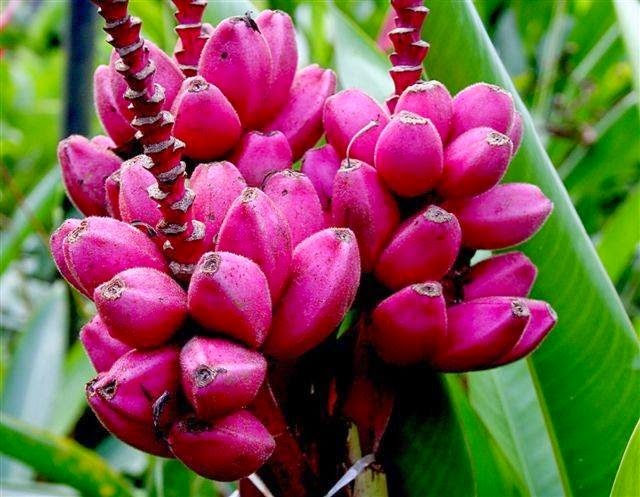 In the Amazonian rain forest where the açaí palm grows, hose who dwell along the banks of the numberless rivers and streams do eat the berry in this natural state, but outside that region almost no one does. The principal reason is that the açaí berry in its natural state is extremely perishable and fragile, so it's not practicable to store it or transport it. Consequently, the seed of the berry is extracted shortly after harvesting and the remaining flesh and skin are pulped together, then flash-frozen. It is this frozen pulp which is the basic, commercially viable, açaí from which all açaí products are made - from juices, to syrups and on to ice creams, salves and even vodkas. 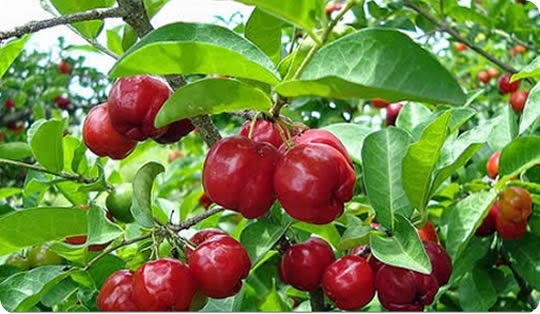 ACEROLA: After three years, trees produce significant numbers of bright red drupes 1–3 cm (0.39–1.18 in) in diameter with a mass of 3–5 g (0.11–0.18 oz). Drupes are in pairs or groups of three, and each contains three triangular seeds. The drupes are juicy and very high in vitamin C and other nutrients. They are divided into three obscure lobes and are usually acidic to subacidic, giving them a sour taste,but may be sweet if grown well.The vitamin C produced by the fruit is better absorbed by humans than synthetic ascorbic acid. The resemblance between acerola and cherries is obvious, although the red of acerola is more orange than the purplish red of most cherries. Acerola has an extremely high ascorbic acid (Vitamin C) content - acerola juice has over 3000% more Vitamin C than an equivalent amount of orange juice. That's not a typo - it's 3000%higher. It's claimed that by adding a very small amount of acerola juice to another juice that is low in Vitamin C (apple juice, for example), the levels of the vitamin in the juice will rise to the level found in orange juice. 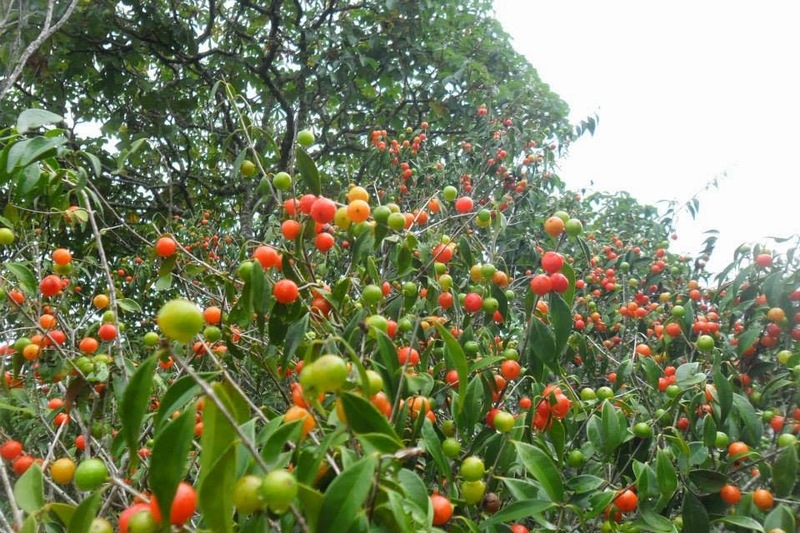 A Brazilian agricultural research agency recently prepared a study of the antioxidant property of eleven varieties of frozen fruit pulp, and in that study found acerola to have significantly high antioxidant properties. Acerola juice is naturally very sour, which is logical considering the high Vitamin C content, and to be drinkable, some quantity of sugar must be added. 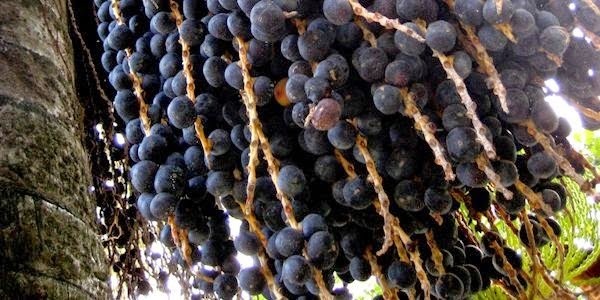 JABUTICABA: The fruit is grape-like in appearance and texture but with a thicker, tougher skin.The gelatinous whitish pulp contains from one to four small seeds and has a pleasant, subacid flavor markedly similar to certain muscadine grapes. Fresh fruit is delicious eaten out-of-hand and can be made into jellies, jams and wine. 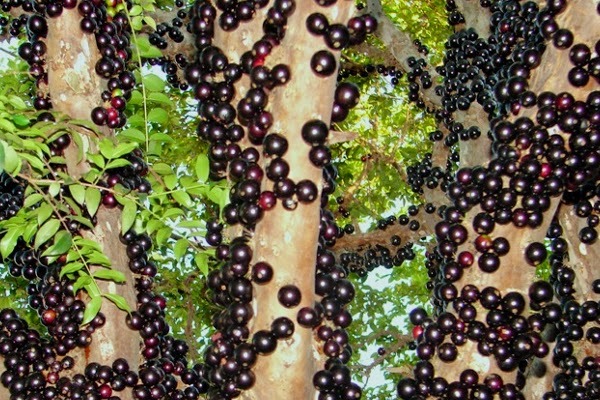 Jabuticaba grows on a large deciduous tree, which can reach 8-10 meters (25-25 feet) in height. The fruit grows directly from the trunk and branches of the tree, which gives the jabuticaba tree a very unusual appearance when in fruit. The fruit itself is a small and round, about the size of a table grape and it has a deep purple color. 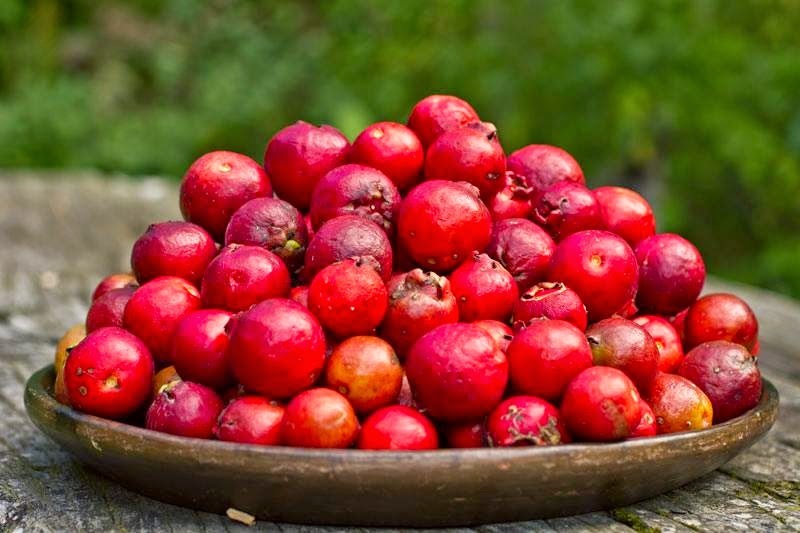 The fruit is high in beneficial antioxidants, and has high levels of iron. In traditional indigenous medicine, jabuticaba juice is given to pregnant women, which aids them because of its high iron content. Also a tea made from the dried skins of jabuticaba is used in traditional medicine as a treatment for asthma, diarrhea and is gargled to alleviate sore throats.